The first beta release for jQuery UI 1.11 is out with numerous bug fixes, improved environment support, and a new widget! New widget: Selectmenu duplicates and extends the functionality of a native HTML select element, allowing it to be customizable in behavior and appearance far beyond the limitations of a native select. You can see it in action in the default and the custom rendering demos. AMD Support: jQuery UI now ships with support for AMD in each of its widgets and components. 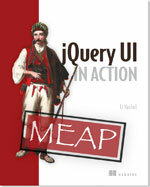 For more information, including examples, see our guide to using jQuery UI with AMD. Bower Support: jQuery UI now ships with Bower support. For examples, see our guide to using jQuery UI with Bower. Discontinued IE7 Support: As of this release we are no longer accepting bug reports for IE7 issues. We have also removed IE7 from our testing infrastructure. The IE7 workarounds are still present in the code, but we will remove them for jQuery UI 1.12. Bug Fixes: Over 45 bugs have been fixed! 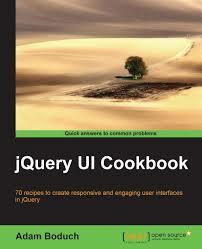 For a full list of changes in jQuery UI 1.11, see the list of fixed tickets. And to see what’s coming next, check out our roadmap. If you have feedback on us doing our first beta release for jQuery UI 1.11, feel free to leave a comment below. Thank you.